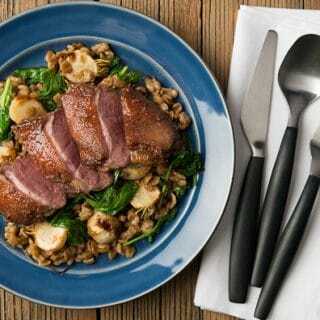 This is my collection of duck recipes, primarily for wild ducks as well as geese. While most wild ducks enjoy a good reputation, geese are undeservedly maligned as greasy, livery and tough. Yes, they can be all these things, but properly done, a wild goose (or a domestic, for that matter) is essentially a large duck. 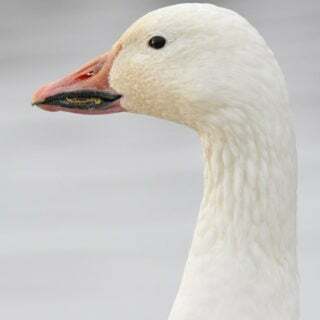 A normal wild goose, such as a Canada, snow or whitefront will feed four, while a small goose (cackler, Aleutian or Ross’) will serve two heartily. A domestic goose or a giant Canada (really any Canada larger than 10 pounds) can serve as many as six. Don’t overcook waterfowl breasts or they will be livery. Rare-to-medium is the mantra. As for the legs, thighs and wings, slow cook them to make them tender. 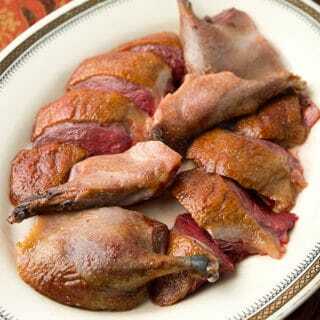 Duck and goose legs are not nearly as tough as pheasant legs because waterfowl don’t do as much walking around. But their wings can be very tough. 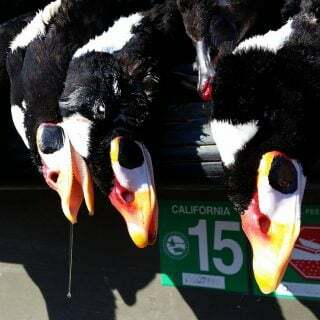 If you find yourself with diving ducks, such as scaup, ringnecks, red-heads, buffleheads, goldeneyes, ruddy ducks, oldsquaw or eiders (or brant, for that matter) You may need to brine them to soften any possible fishy taste. One easy way to tell is to cut off the “Pope’s Nose,” or tail of the duck, and render out the fat in a small frying pan. If the fat smells icky, brine the duck with salt, sugar and garlic, plus any aromatic herbs that strike your fancy. A note on all these duck recipes: If you use domestic geese or ducks for any of them, it is vital that after you thaw them out, you remove all of the body cavity fat and then prick the skin all around with the point of a filet knife or something else narrow and pointy. 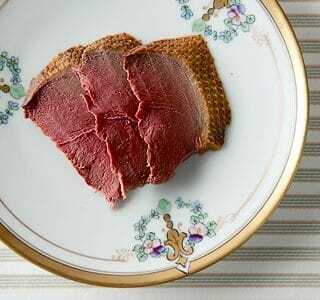 Domestic geese are flying pigs, raised for their delicious fat as much as their meat. Basic instructions on how to cut up a whole duck or goose. These instructions work with pretty much any bird. 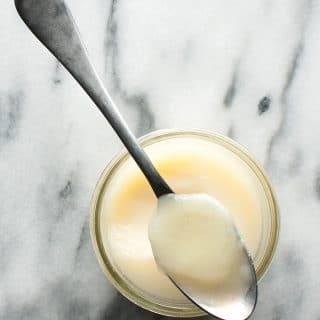 Basic instructions on how to render your own duck or goose fat. 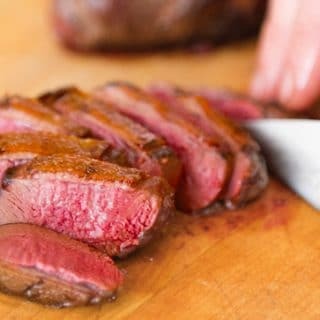 Step by step instructions on how to pan-sear a duck breast to make the skin extra crispy and the meat medium-rare. 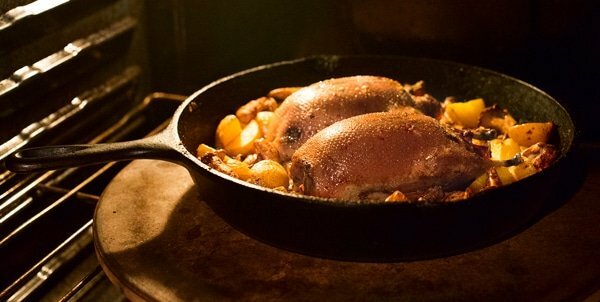 Simple instructions on how to roast a wild duck. Use this with most wild birds, or with Muscovy ducks. Use these instructions when you are roasting a very fat wild bird or a domesticated duck. 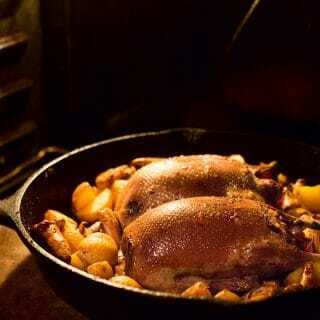 A variation on slow roasted duck from France, with added shalllots, thyme and grapes. A master recipe for smoking ducks and geese. This works with both wild and domesticated birds. 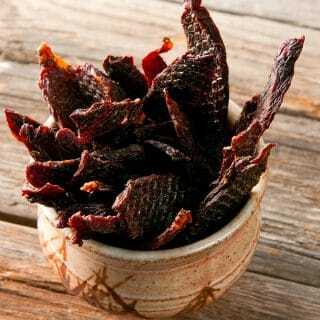 Another master recipe, this time for jerky. My seasonings are allspice, chile, thyme and mushroom powder, but you can use whatever spice mix you want. 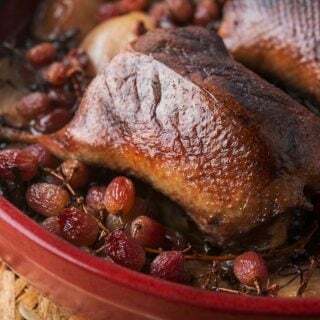 If you have a sea duck or otherwise fishy duck, here are 10 proven recipes for working with stinky ducks. 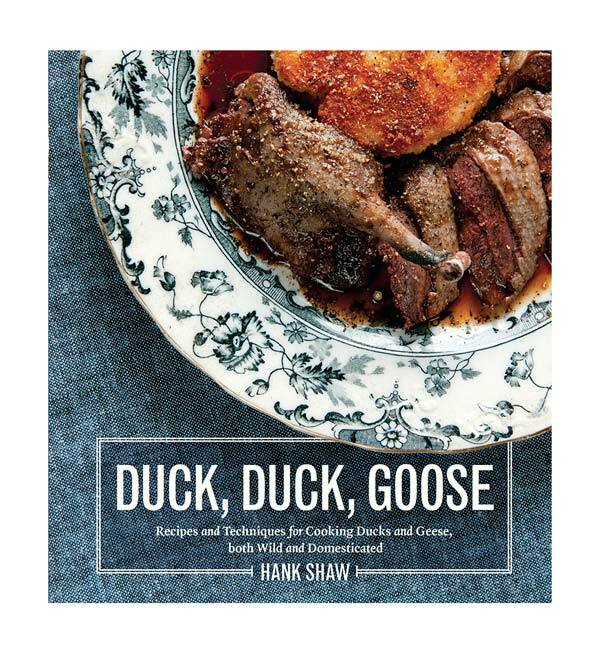 Recipes for both skin-on and skinless duck and goose recipes. 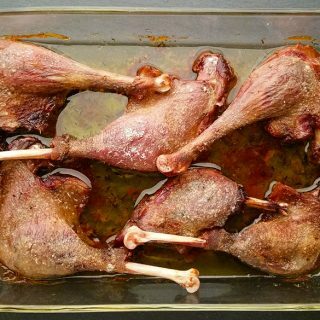 Duck and goose legs are wonderful, but they need to be cooked slow and low. You’ll find recipes for them here. 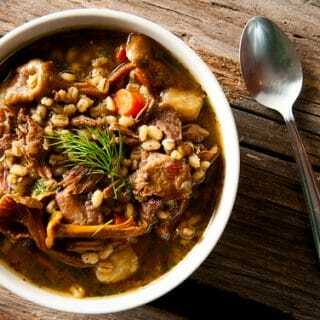 Hearty stews, refined soups and basic duck stock, plus recipes for duck demi-glace and consomme. Don’t forget the giblets! Recipes for everything from simple seared liver to fancy dishes with hearts and gizzards. 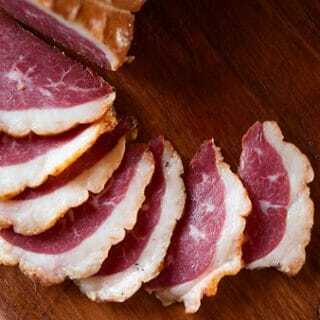 Recipes for cured duck and goose meat, from whole cuts to sausages, smoked duck and terrines. 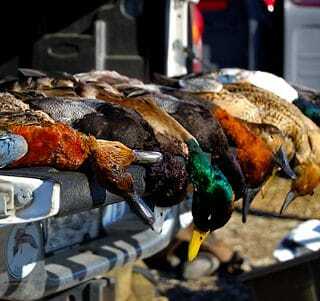 This is a great use for smelly ducks like shovelers and sea ducks, by the way. 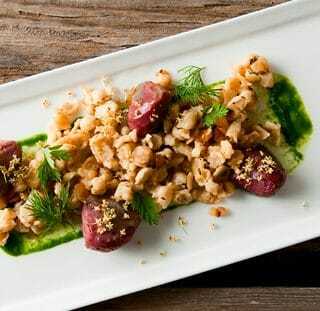 Some thoughts on eating the unjustly maligned snow goose.